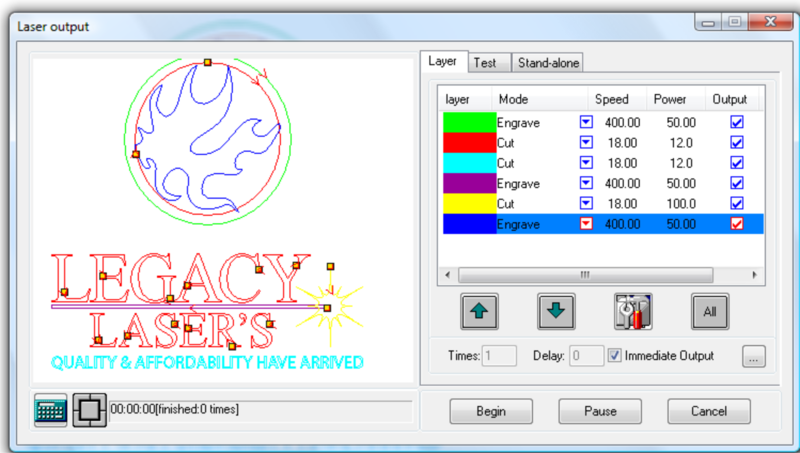 Laser engraver and cutter systems require graphics and driver software in order to create the project design and then to transport the design from the computer to the engraver for production. 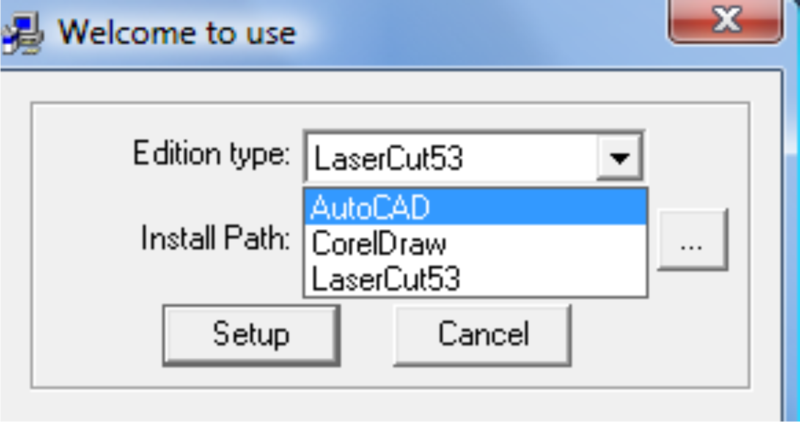 Our engraver and cutter systems currently support three different graphics applications: LaserCut, CorelDraw, and AutoCAD. 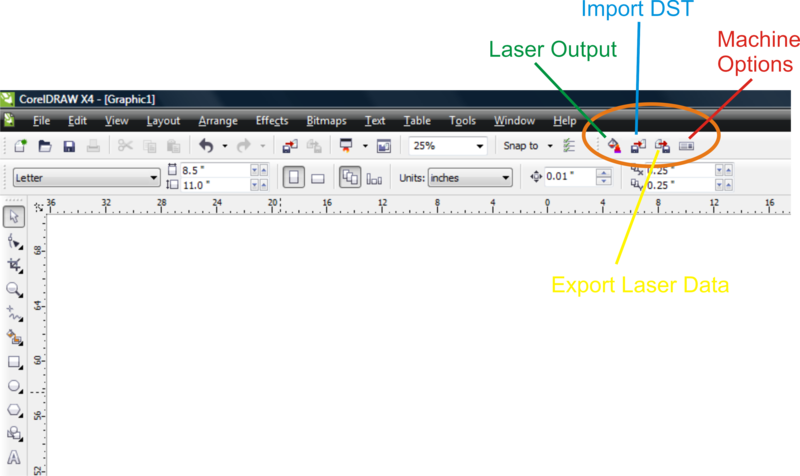 A brief overview of the LaserCut interface is seen below. 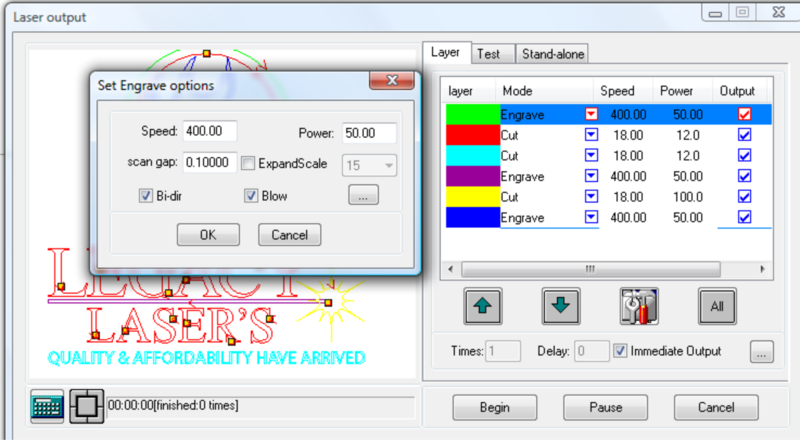 The new Laser toolbar allows the user to send files directly to the engraver or cutter system. Now Click Download Current. 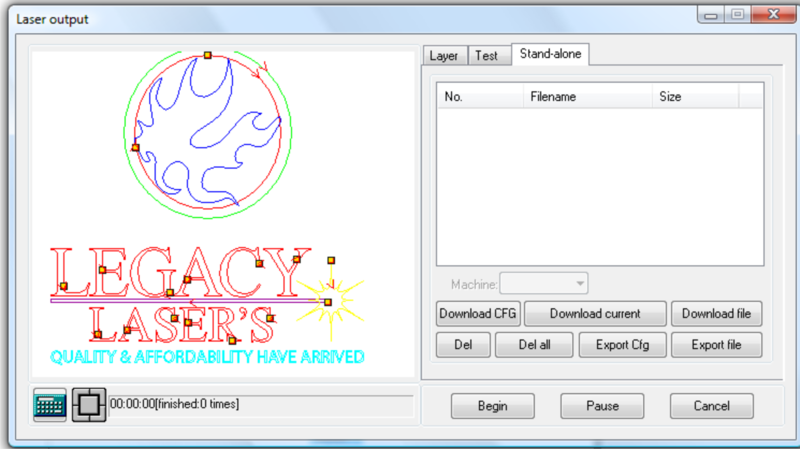 This will send and store the file to the memory of the laser engraver or cutter machine. What can I do with a CO2 laser engraving machine? What Materials can I mark with a Laser Engraver? Or laser cutter? 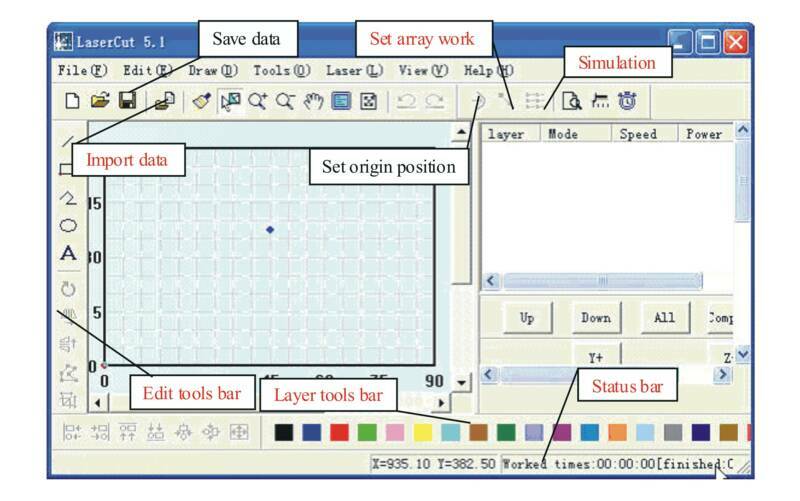 How Does the Laser software work?